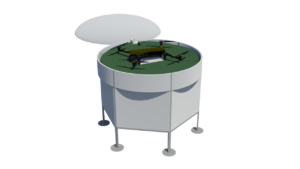 The Eli Drone Nest has been developed to provide a new dimension of autonomy to the already mature ELIX-XL multirotor platform. An installed drone nest provides an operational radius of 5km and a network of drone nests can deliver visual information from a vast area of land. Overlapping operational radiuses mean that operators can have eyes on a target at all times, both day and night. The drone nest excels as a force multiplier in hard terrain where the capabilities and response times of manned patrols are at their limit. 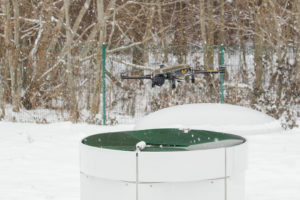 The drone nests are linked to a central command and control center where they can be integrated with other forward looking sensors and early warning systems. 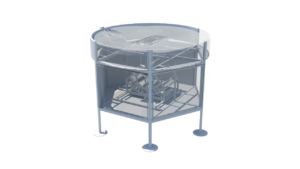 The drone nest provides a safe temperature controlled environment for the ELIX-XL in even the harshest weather conditions. After returning from a mission the drone automatically lands on the nest and is then moved into place for an automated battery change. This means the drone can be operational again within a few minutes after landing. Research and development for the Drone Nest is partially funded by the Estonian Police and boarder guard. 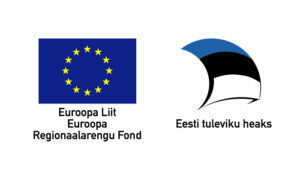 The patenting process for the landing pad of the Drone Nest was supported by Enterprise Estonia innovation voucher project number 50451 .